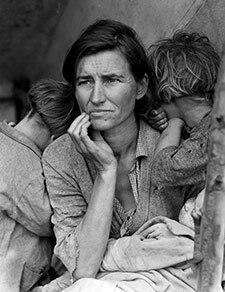 Among the scores of interviewees whose reflections on the Great Depression comprise a newly accessible Washington University Libraries resource are two daughters of Florence Owens Thompson, the subject of Dorothea Lange’s iconic photograph. For about 40 minutes, Rydlewski and McIntosh shared their stories with Blackside Inc., a film company founded by 1961 Washington University in St. Louis graduate Henry Hampton. In the footage and transcript of that conversation, newly web-accessible along with many more such interviews through Washington University Libraries, the family’s daily challenges come to life as the sisters describe not only their strong, beautiful mother, but everything from field work and playing with dirt clods as children to early union meetings and the “saving grace” that World War II proved to be economically. The Great Depression Series illustrates the rich collections that WU Libraries staff members are bringing within easy reach of students, faculty and the wider world. To read the full article and learn more about the project, visit here. 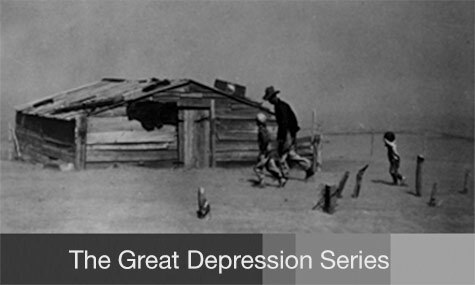 Anyone can watch, browse and search The Great Depression Series atdigital.wustl.edu/greatdepression.